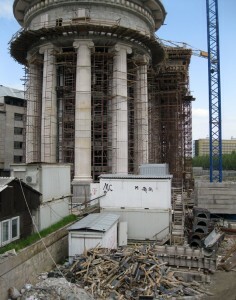 Skopje, Macedonia – 28/04/11 | Camperissimo! Oh! You should’ve visited Ohrid instead! Iva seems to have some extraordinary powers. The last few nights we didn’t sleep that well in the van. In Gevgelija a perfectly friendly young man – on the way home from a local bar – decided to knock on the side of the van for a chat at some time after midnight. It’s not every day a camper van parks outside of your house. “Here’s a good chance to practice my German” he thought, no doubt. Then in Skopje we parked in a quiet street between a park and football complex. At around 1 a.m. several young fellows decided to park their car in front of ours, listen to some thumping Macedonian techno and discuss their love of football over a beer or two. It comes with the territory, and you get used to all sorts of noise around the van while you sleep, but some nights it’s harder than others. This time it seemed like the tireder we got, the harder we were finding it to get a good night’s sleep. At the same time, we’d been discussing how to complete the trip: whether we should spend a final week travelling back slowly through Bosnia or just gun it through Serbia and be home in Munich by Sunday evening. Our original plan had been to travel for a month. After our departure was delayed by a week, we’d changed our plans for the start of May to make it possible to stay away for one more week, but we realised that we were starting to look forward to being back in Munich more than visiting the next town on our itinerary. 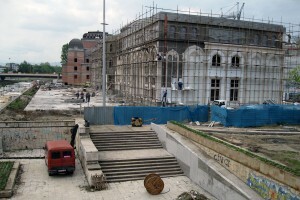 Which is why we decided that Skopje would be the last “proper” place we would visit. 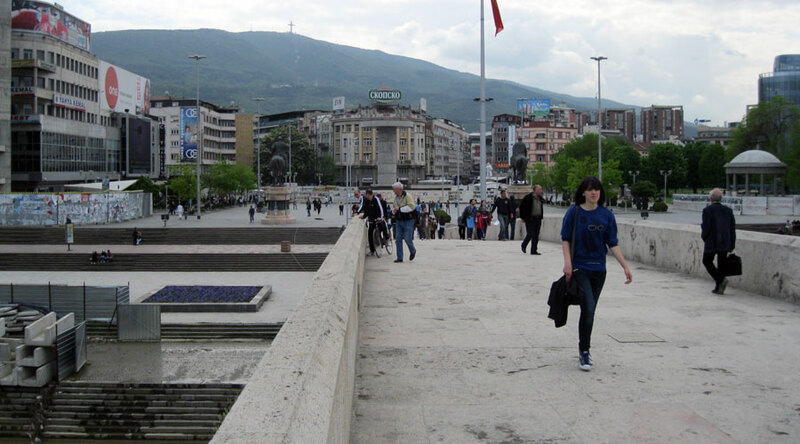 With the tribal rhythms of Macedonian techno ringing in our ears we dragged ourselves into an upright position at around 10 a.m. and proceeded to spend most of the day walking around the city centre(s). 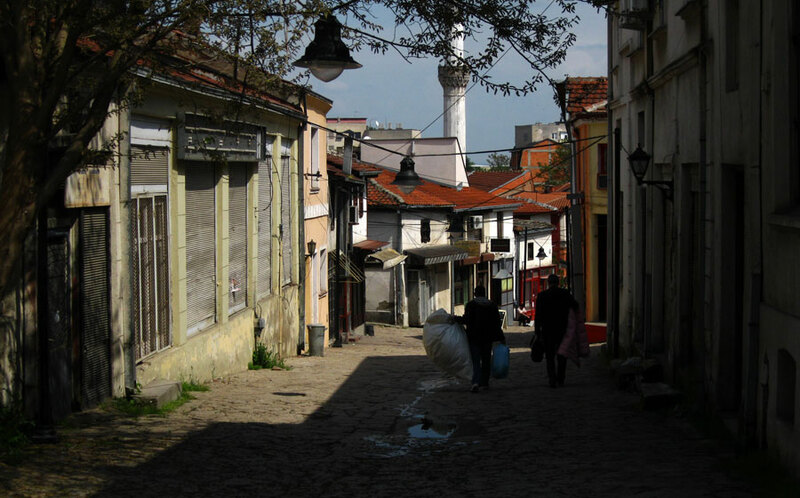 The old centre of the town, called Ćaršija, is an Ottoman Bazaar with a maze of narrow streets. 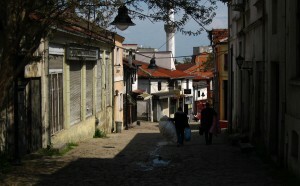 The area is bustling, alive and reminiscent of Sarajevo or Istanbul. For me, this was the highlight of Skopje, a really amazing experience. 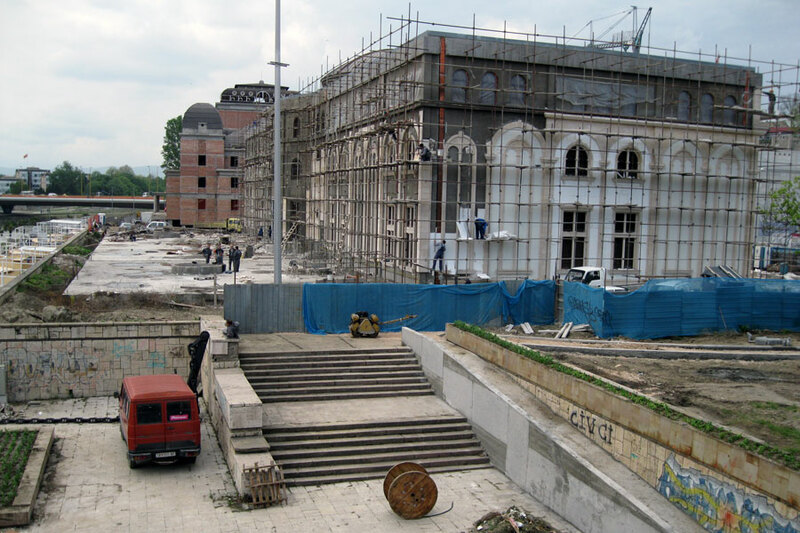 The new centre of the town is currently undergoing major remodelling as part of the ambitious, but downright surreal “Skopje 2014” project (YouTube Video). The various large-scale construction sites are far enough along that one can clearly recognise the form and scale of the buildings, all of which are the sort of thing you would expect to see being excavated, or refurbished, not being built from scratch. Maybe it will turn out to be a stroke of genius, stranger things have happened. Just as long as they don’t run out of budget half way through. 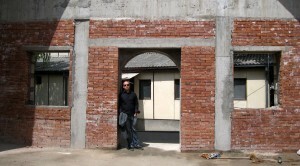 After returning to the van we hit the road. Within an hour we were in Serbia, and by the following afternoon – with a sleeping stop in a Serbian motorway service station – the 1000km to Zagreb were behind us. To celebrate that we took our first nap in a real bed for three weeks and then went out and got drunk. This entry was posted in Camper Trip April 2011 and tagged 2011, diary, Macedonia, Skopje. Bookmark the permalink.